When I found out Javier Bardem had married Penelope Cruz, I was heartbroken. When she gave birth to their son, Leo, though, I resigned myself to the idea that he would never leave her for me. Still, I continue to follow his film career because I can’t help myself. Although he was extraordinary in The Sea Inside and in Vicky Cristina Barcelona, I think his best film so far was Biutiful, in which he plays the dying Uxbal and for which he received a 2011 Oscar nomination. There are few actors who can ennoble suffering the way he does, and there are few who can embody sociopathy like he can. In No Country for Old Men, for instance, he won an Academy Award for his role as the diabolical Anton Chigurgh. 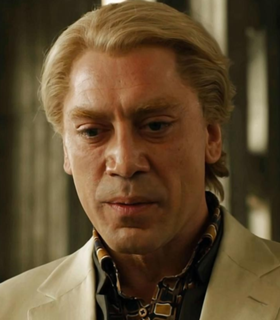 In the new James Bond film, Skyfall, he is equally chilling as Raoul Silva, the bleached-blonde cyberterrorist at the center of the movie. 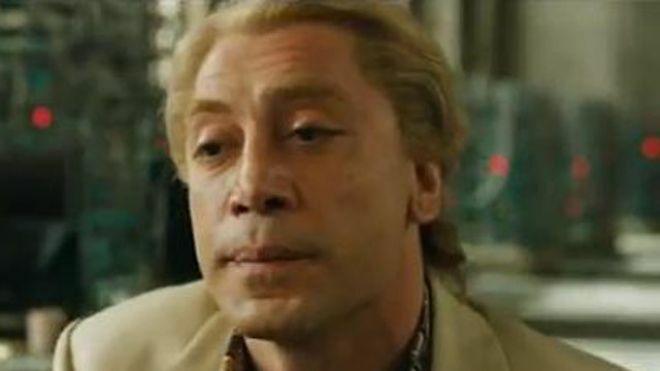 Unlike the villains in other Bond movies, though, Silva is multidimensional, and Bardem’s performance is nuanced and infused with the kind of suffering he has brought to his other roles. As I think about Bardem’s movies, I can’t help but reflect on what it means, and what it looks like, to take creative risks. It’s got me thinking about my writing…and about playing it safe. Or not. We’re all wandering around lost on one big hospital ship, I’m thinking. I suppose I need to take a little break. I’ll be back next week and hope you’ll be back, too. This morning, while driving to get my vacuum cleaner fixed, I was listening to a caller on NPR’s Car Talk describe a problem she had been having with a truck she drives every day to chauffeur her grandchildren around town. It appears she invariably leaves rubber at a stop sign near their school, and she is afraid to tell her son-in-law about these daily, though unintentional, trespasses. He owns the truck. To make matters worse, the grandsons threaten to tell their father each time she peels off, and she doesn’t feel like she can come clean with her daughter about the problem–or about the boys. It seems, then, that her call to hosts Tom and Ray Magliozzi, or Click and Clack, as they are better known, was a cry for help. It is entirely possible that the caller’s fear of her son-in-law and his children might have been exaggerated, if not fabricated, to make the problem seem more dramatic to the listening audience. 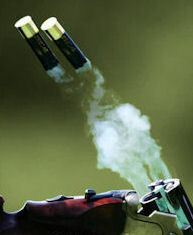 For all I know, the whole family could have been gathered around the radio having a hearty laugh while grandmother unburdened herself to the Tappet brothers, as they are also called; nonetheless, I have not been able to stop thinking about the story she told. To a fiction writer, there’s gold in it. The caller began by saying she had moved to New Jersey to take care of her grandchildren while her daughter and son-in-law worked. 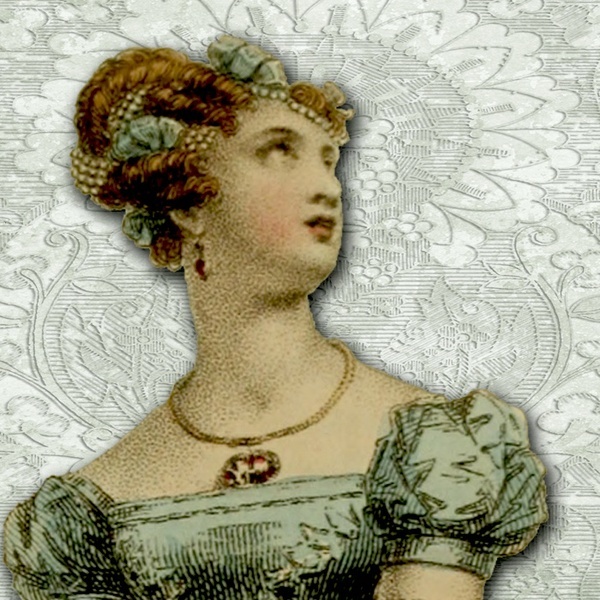 Soon I found myself imagining that her husband had died penniless (the gambling debts wiped him out) and that she, never having had a job, had no choice but to sell a home she had been in for 30 years and to bunk with her family in a house half the size. Once there, she was made to sleep in a mildewed, half-finished basement apartment still without heat. Her daughter had protested, but the son-in-law, Joe, a welder, rules with an iron fist. Unable to pay for rent and food, she offered to take care of the boys, but, at 70, with her vision half gone and with advanced rheumatoid arthritis, she is having more difficulty honoring this offer than she could have imagined. She wants to tell her daughter everything, but Jo, as the daughter is named, is so afraid of her hard-drinking husband that she is helpless to do anything. If the truth be told, she is also scared to death of her children, nine-year-old twins who look just like their father. It appears that the only way this grandmother can let her daughter know how desperate things have become is for her to come on Car Talk and to spin a ridiculous yarn in the hope her daughter, who listens to the show every week, will be able to hear between the lines and will begin to plot an escape from the despot Joe and his demon sons.